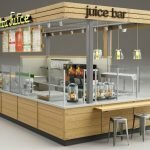 Tea kiosk is newly style juice bar in mall .As a classic design of beverage kiosk for sale .Juice kiosk performed an important parts in drinking kiosk developments. 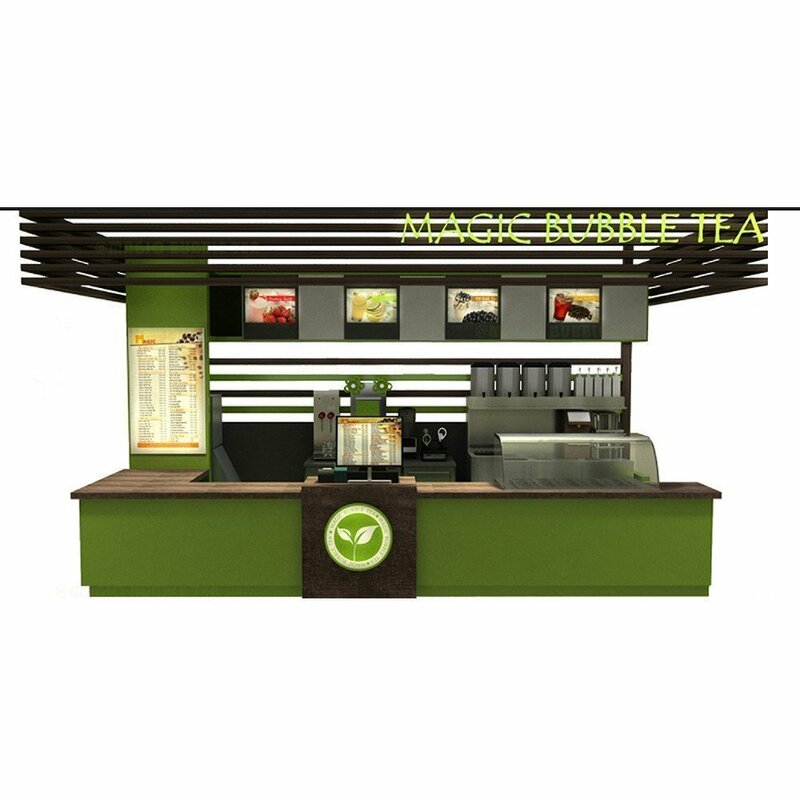 If you are looking for mall kiosk business ideas, Bubbles tea business is a very good choice . 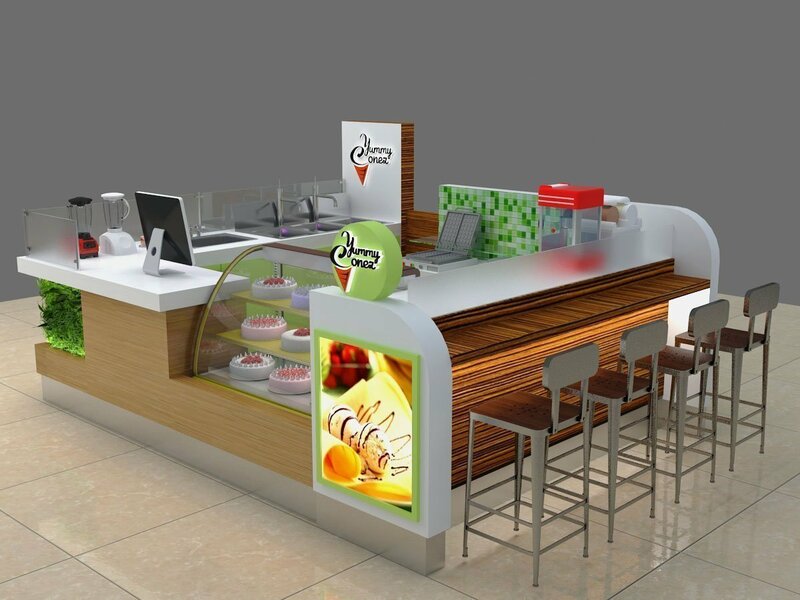 Tea kiosk has many different kinds，you can see flavor tea kiosk in mall , you may see juice tea kiosk serve fresh fruit juice black tea . Or you can see green tea kiosk doing retail. However bubble tea kiosk is always the star among them. 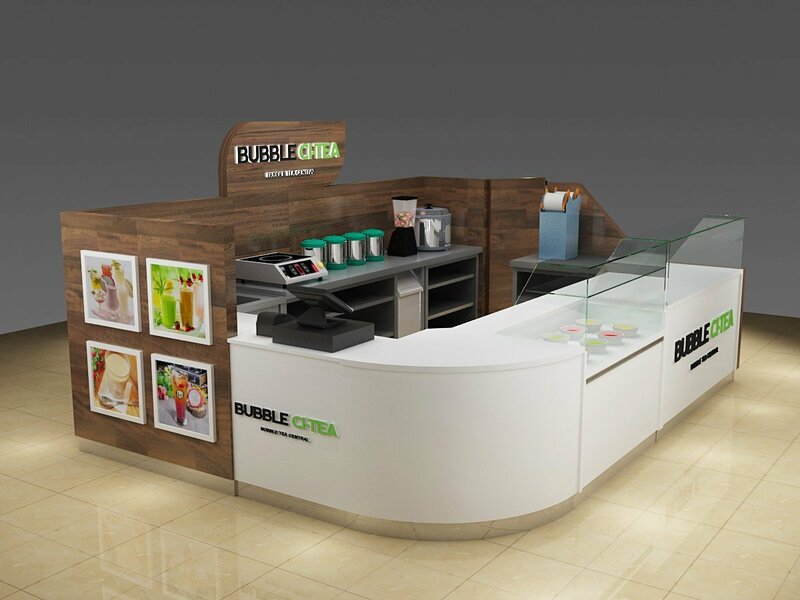 There several reasons for that ,but first how to start a bubble tea kiosk in mall ? where can i get a cheap but high quality drinking kiosk ? 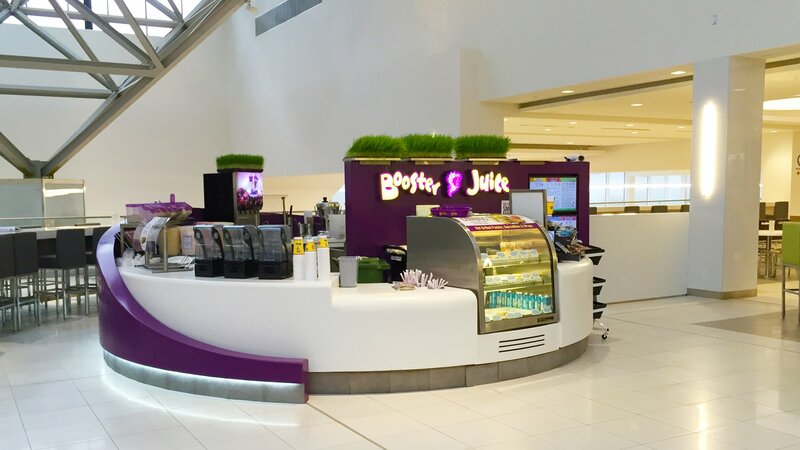 Most of the juice bar and tea kiosk are design with typical beverage equipment. sink, fridge, display showcase together with working bench. However, in Unique mall kiosk design. 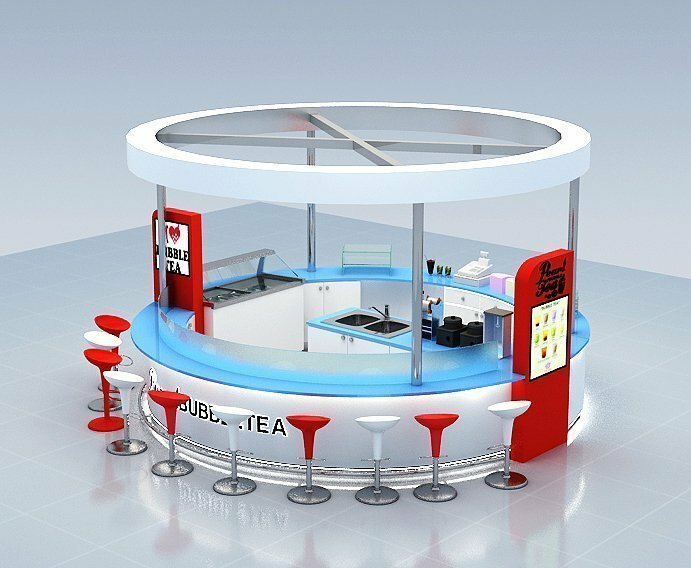 Color is the most important element, A nice flavor tea kiosk design much have the ability to attract customer eye contact. Unique beverage kiosk is built with high-quality plywood and solid timber. All the countertop will be applied with marble stone or man-made stone, acrylic and led lights are used as much as possible. With the diversity of mall beverage kiosk design. 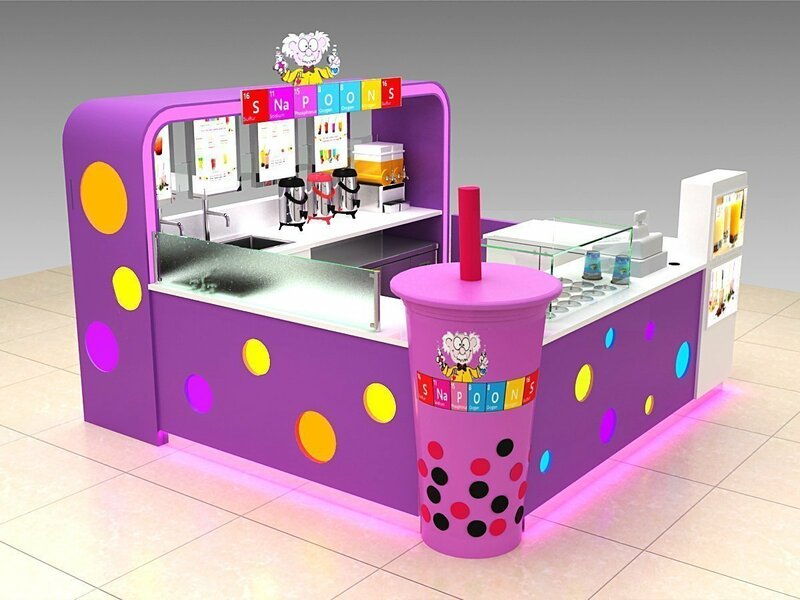 colorfully Bubble tea kiosk is gradually becoming the shining star. Because the designer will use a lot of different colors, bubbles and advertising posters to make the outlook more attractive. On the other hand. BOBO milk tea kiosk in mall are the most colorful and eye-catching style of fashion, Where there’s a juice tea kiosk, there always a lot of business. 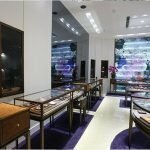 But not all of them are same, still, some particular Customer would require a clean and neat design to give the customers a soft and quiet space. 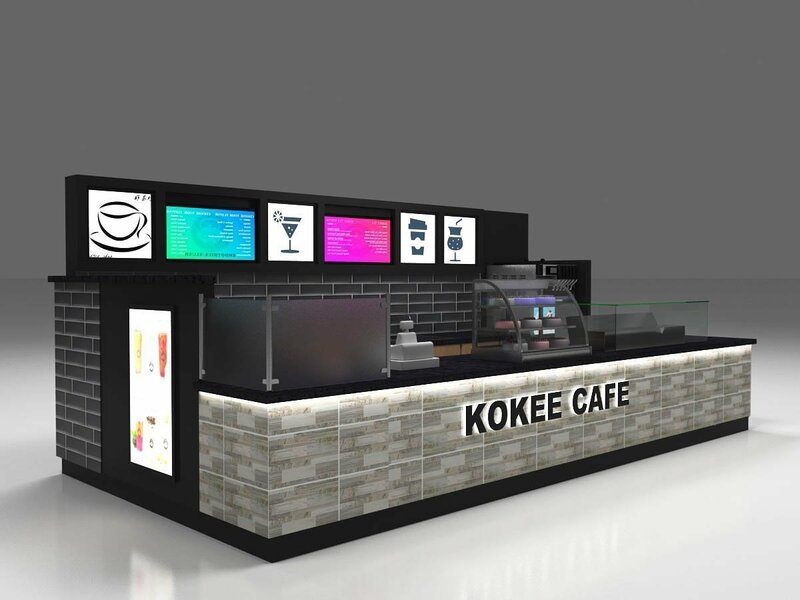 when you want to open a drinking milk tea kiosk in mall you need a unique kiosk to start your business. 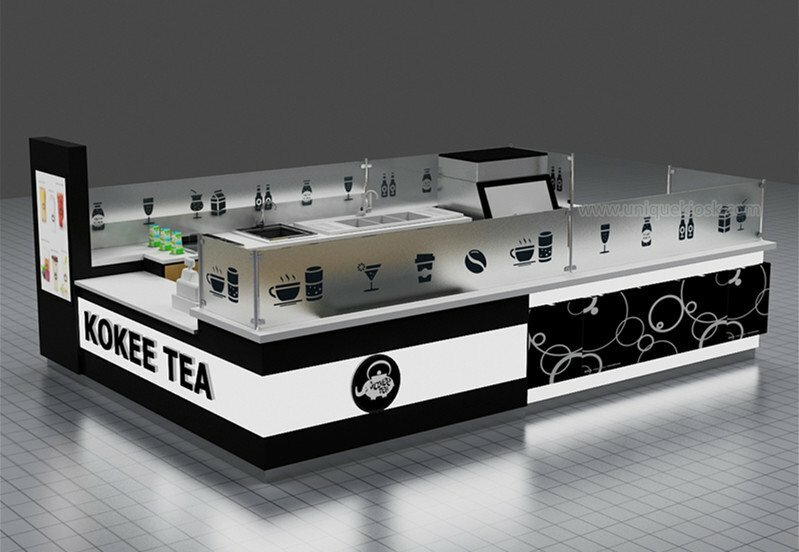 Unique is a professional tea kiosk manufacturer in China, we Customized all types of beverage kiosk and juice bar kiosk ,we provide high-quality finish kiosks design and bubble kiosk images. Our bubble tea kiosk price is the best you can find on the internet. 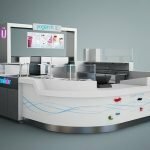 if you want to start a mall used milk tea kiosk or juice tea kiosk, Unique is definitely the best place to go. Mall used beverage is a very good mall kiosk business ideas. especially for a new business starter. Due to that, all the mall kiosk are customized. 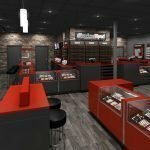 So if you want to start your own business and build unique customized retail kiosk is necessary. Contact our sales team and get the lasted kiosk price and shop design. 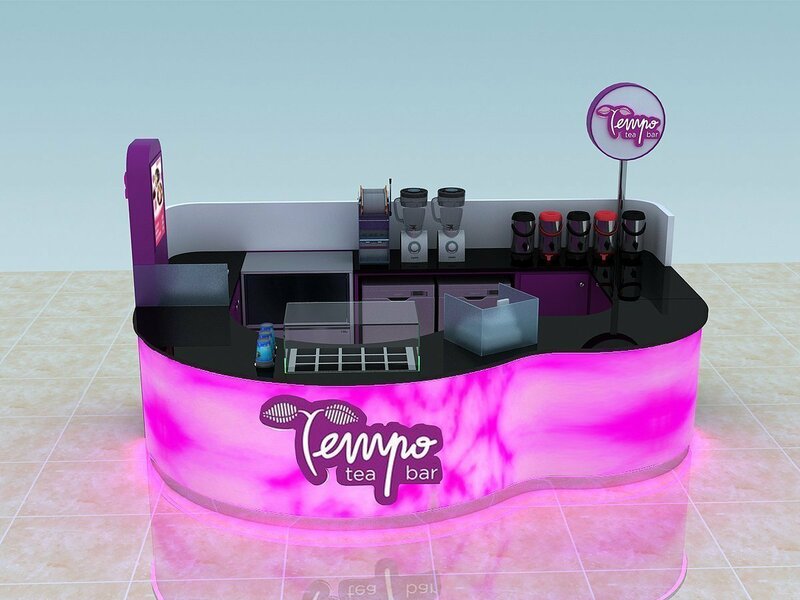 The more you learn on beverage milk tea kiosk, the less headache you will encounter in future business. When you ready to start building a juice milk bubble tea kiosk. welcome to inquiry.